A bedside table lamp is always highly recommended, as it prevents you from groping in the dark, as long as you have not yet got into bed to go to sleep. 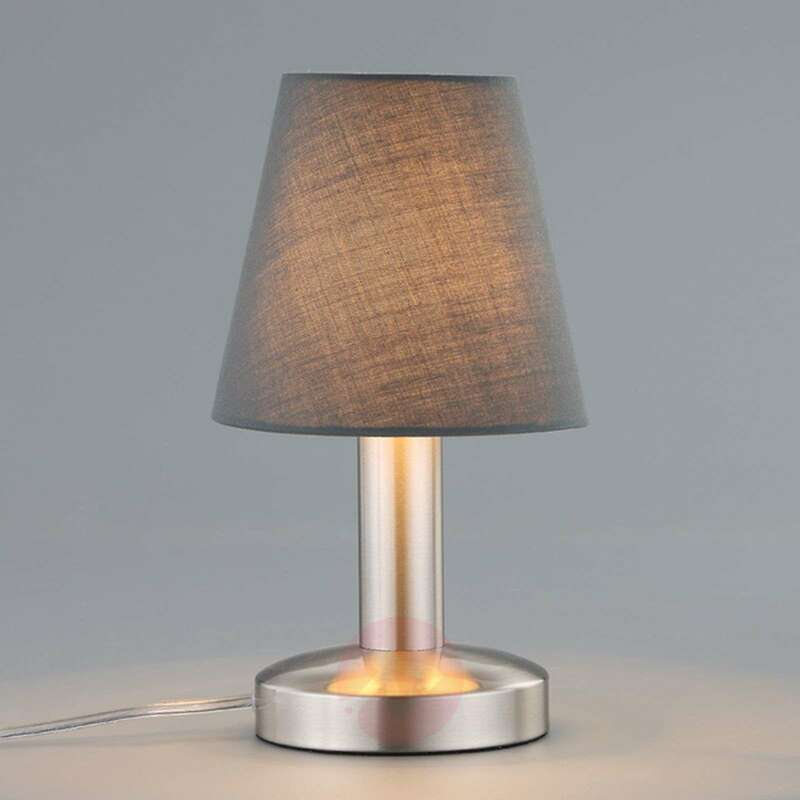 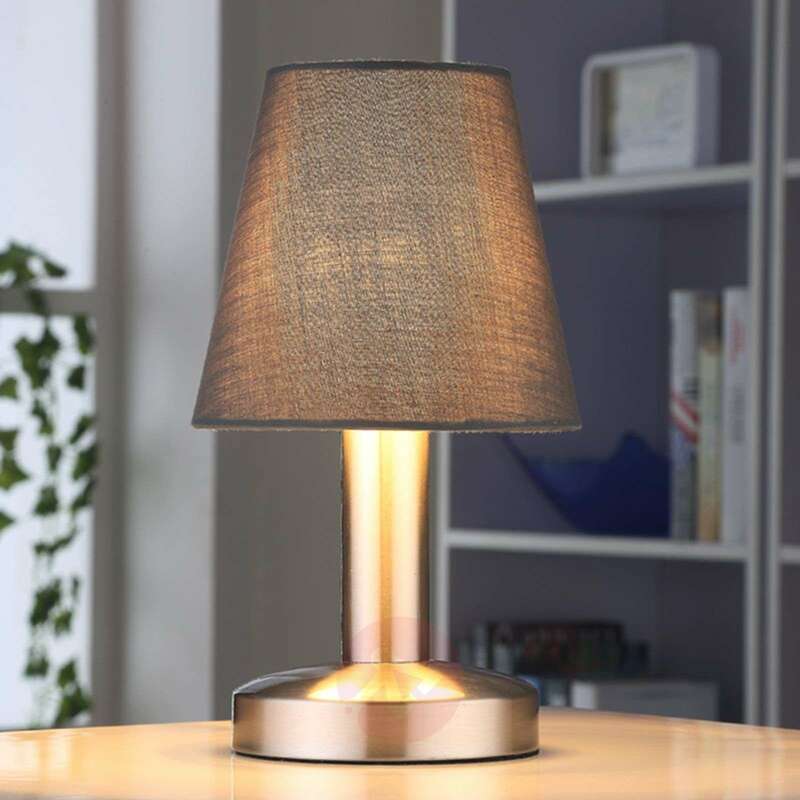 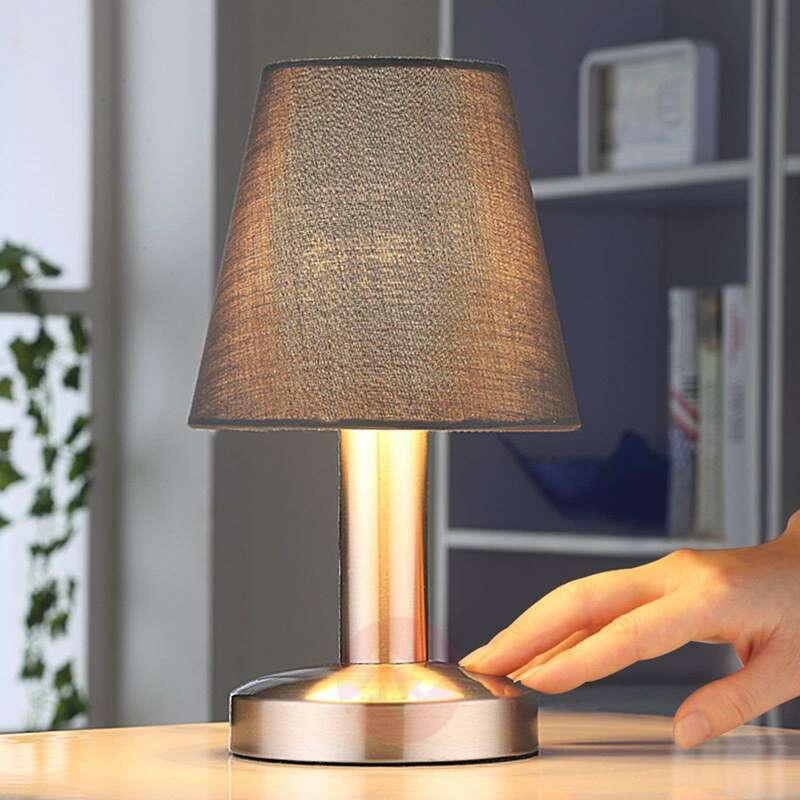 If this bedside table lamp is connected to a power socket via the power cable, you can easily turn it on and off by quickly touching the base, as Hanno has a so-called touch switch. 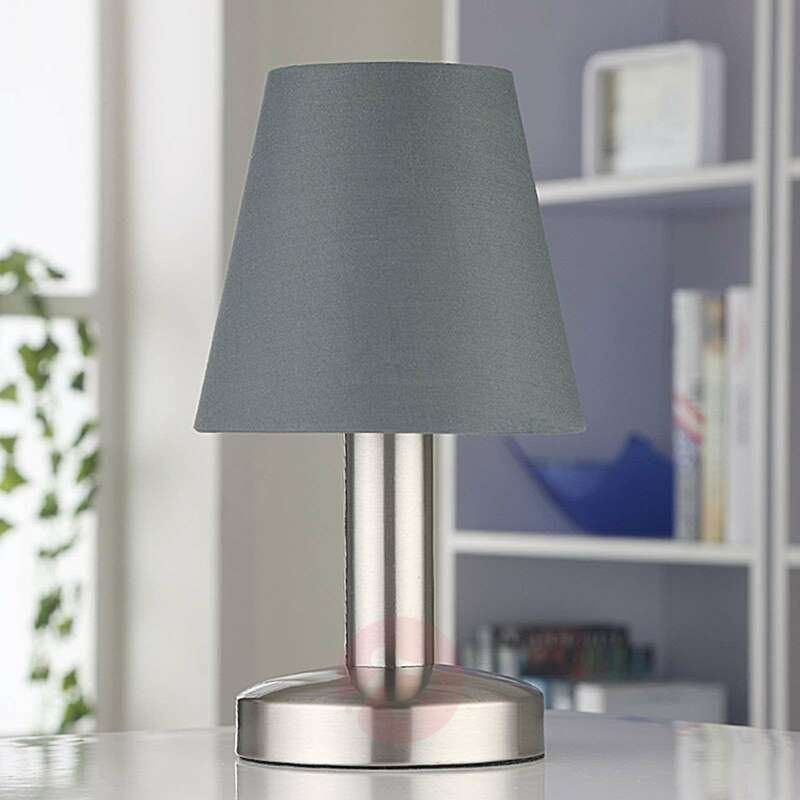 The grey fabric lampshade stands for particularly cosy light and a stylish appearance which correlates well with a number of modern styles. 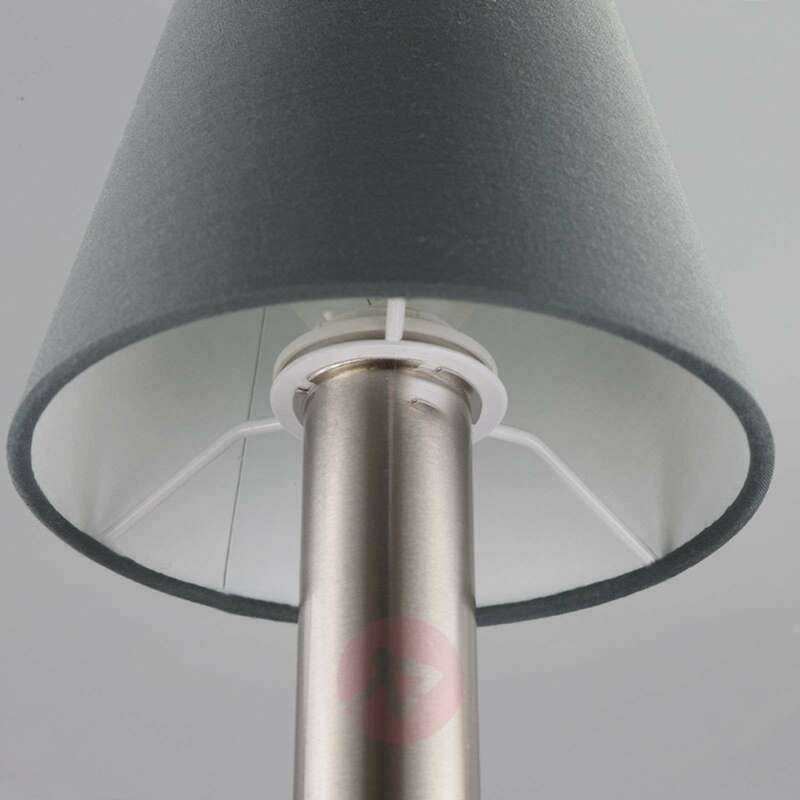 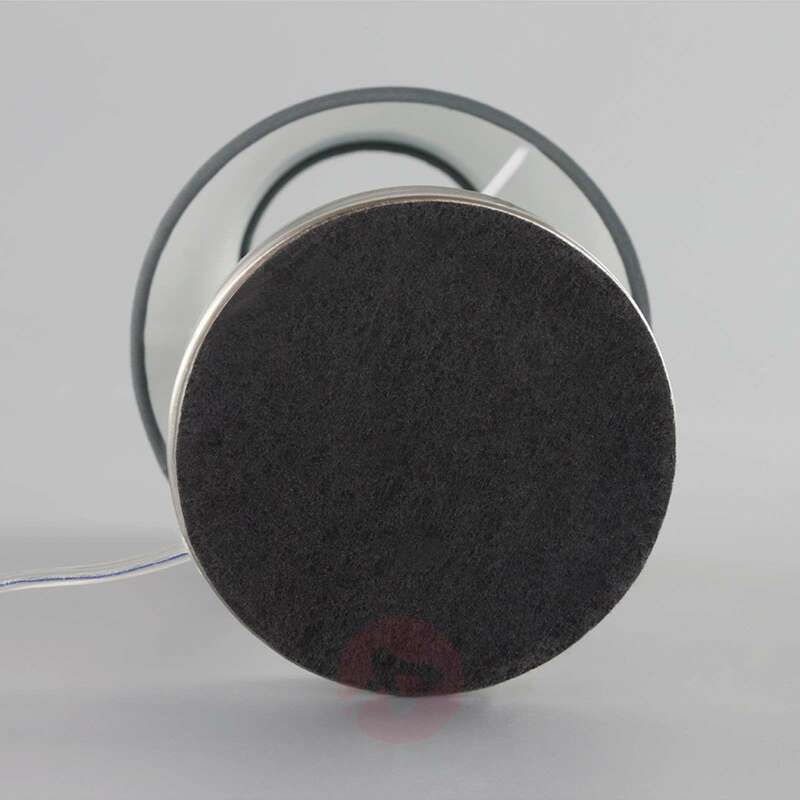 Does your Grey Hanno w. fabric bedside lamp (item 9620811) come with a fitted 3-pin UK plug? 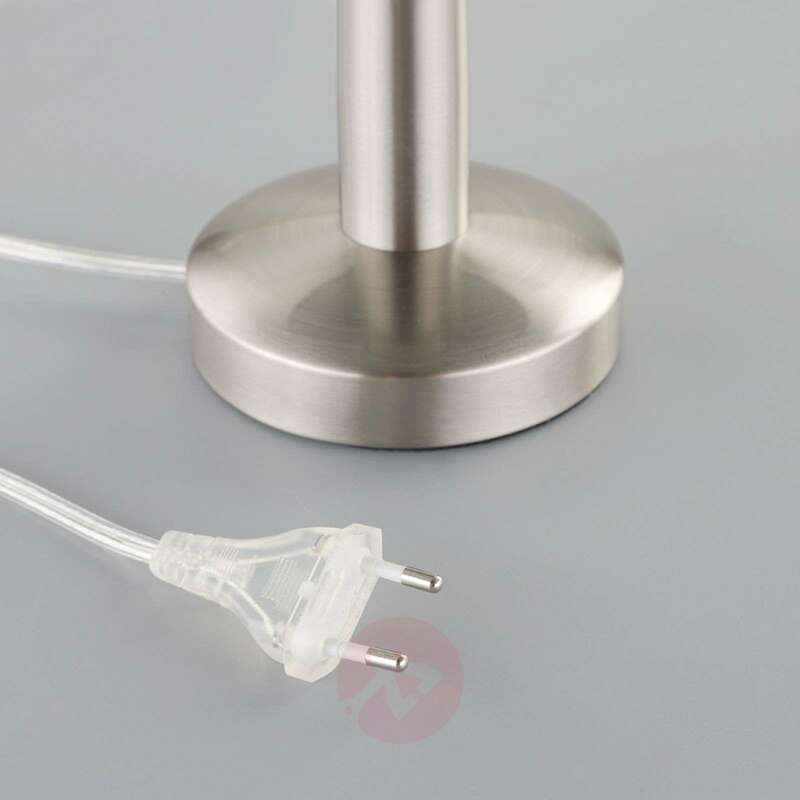 One image of it shows a 2-pin US style plug. 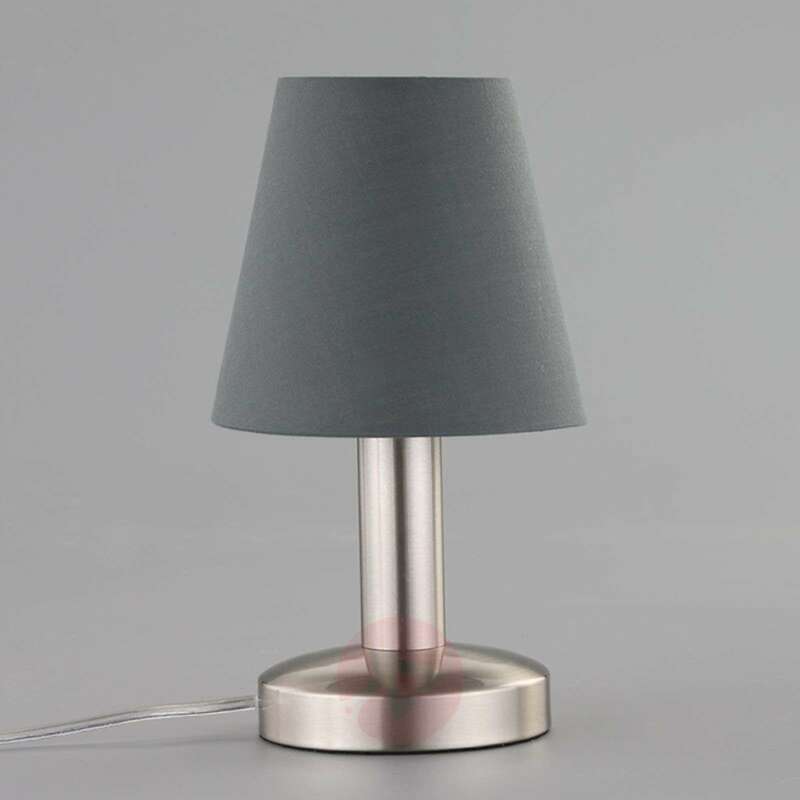 All of our lamps with a continental plug are shipped with an adapter for the UK free of charge, appropriate for the type of plug of the specific light.